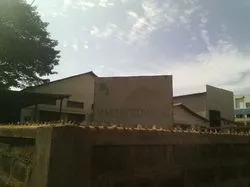 Manufacturing AND Trading of Hydraulic Products. 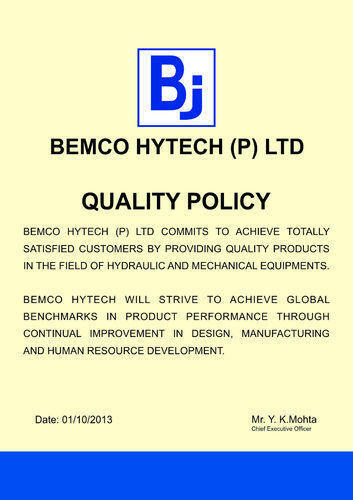 We, Bemco Hytech (P) Ltd., started its operation in the year 1982, are one of the foremost Manufacturer, Exporter and Wholesaler an extensive array of best grade Mechanical Lifting Jacks, Industrial Hydraulic Jacks, Track Link Pin, Press, Hydraulic Press, Hydraulic Hand Pump, Telescopic Cylinders and Hydraulic Power Packs. The range offered by us consists of Mechanical Lifting Jacks, Industrial Hydraulic Jacks and Specialized Purpose Machines. To manufacturing these offered products in compliance with the set industry standards, our experienced professionals use the modern machines and tools. Offered products are highly admired by the clients for their attractive features like long service life, high working capacity, low maintenance and resistance to damage. In addition to this, these products can be customized in line with the requirements detailed by the clients. Our offered ranges are used in Steel Plants, Railways, Cement Plants, Mining, Flyover & Bridge Construction, Nuclear Power Station, Ship-building, Dockyard and General Engineering. Our company has established up to date infrastructural set-up, where all facilities related to our business have been installed by us. It has various departments like production, quality control, and others, which helps us in performing our business process in the best possible way. This gives us an edge in terms of delivering orders at the customer's convenience. Apart from this, we are offering these products at affordable prices to our valued customers across the globe. Set up and assisted by our mentor, Mr. Raghav Mohta, we have been able to create a huge patron base. With the help of his sharp business approach and skills, we have gained a reputed position in the market in such short period of time. With the help of his only, we are able to satisfy our clients in such a way. We offer a wide range of high pressure Hydraulic Jacks (Cylinders), Hydraulic Hand Pumps, Hydraulic Power Packs, Hydraulic Tools, Presses, Hydraulic Lifting Platforms, Mechanical Jacks, General Purpose Cylinders. All our products are made to internationally acceptable standards with good finish and packaging. 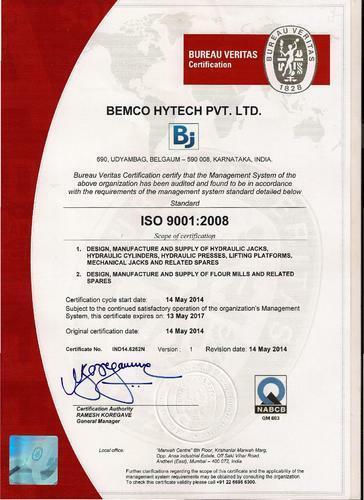 Bemco Hytech Pvt Ltd has its Quality Management Systems as per ISO 9001:2008 standards, certified by Bureau Veritas. We are successfully catering to a host of industries, with our range of precision engineered high pressure hydraulic jack and equipments. Customization We are a client focused organization and hence leave no stone unturned in satisfying our clients. We can customize our hydraulic equipments to met the exact specifications of our customers. We have been able to achieve enviable goodwill in the global market by fulfilling the requirements of global clients. Our clients keep us busy with their bulk orders for hydraulic equipments. Over the years, our intensive development work has enabled us to successfully deliver products of international quality thereby gain clients’ confidence and achieve total customer satisfaction. We treasure a cream of the crop professionals, who employs the best of their ability to manufacture an outstanding range of industrial hydraulic and mechanical jacks. The entire production process, including the procurement of input factors till delivery of finished products, is executed by our team members in a streamlined manner. Furthermore, our team keeps itself aware of the modern trends of the industry and employs striven efforts to gauge the same with innovative industrial hydraulic and mechanical jacks. Our team interacts with the clients and understands the divergent demands of them and strives hard to fulfill the same with the suitable solution. Our organization is known to be one of the trustworthy manufacturers and exporters of the industrial hydraulic and mechanical jacks. For the aim of maintaining its standards, we manufactured these products through a number of predefined quality norms. By providing these products as per their given requirements, we attained the optimum level of customer satisfaction.